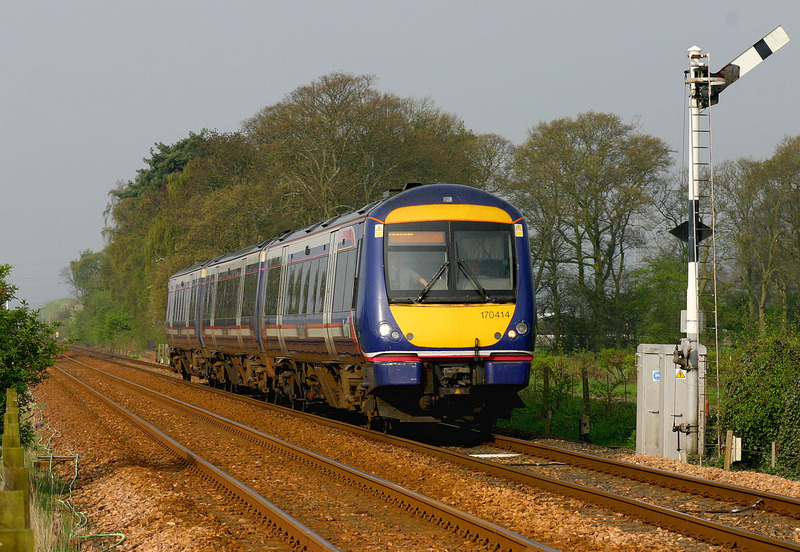 170414 passes Errol (between Perth and Dundee) with the 06:40 Edinburgh to Dundee First ScotRail service on 6 May 2008. Errol station closed as recently as 1985 and is now a craft shop. As can be seen in this picture, the semaphore signals remain, protecting the busy level crossing.